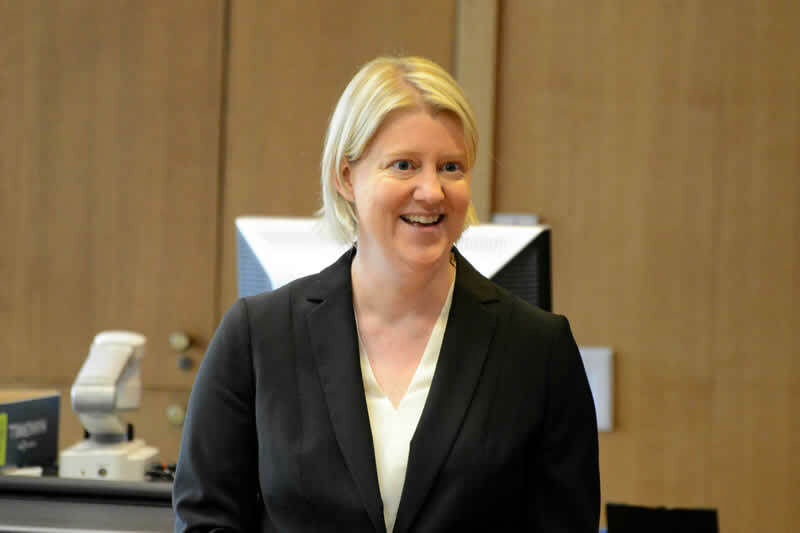 Faculty Scholarship: Sarah Haan and the Post-Truth First Amendment From fake news to the First Amendment, Sarah Haan's new article looks at the impact of "Post-Truthism" on the law. “The Post-Truth First Amendment,” by W&L Law professor Sarah Haan, is forthcoming in the Indiana Law Journal. Below, Prof. Haan describes the origin of the article and some of the conclusions she draws in her analysis of the impact of post-truthism on the law involving compelled speech and the First Amendment. The full article is available for download from SSRN. I write about securities disclosure and compelled speech, and had been working for several years on an article about the use of the First Amendment to defeat corporate disclosure on a range of social and environmental subjects. I wasn’t satisfied with the framing of the article and kept working on it, adding new cases as they were decided and thinking about the problem. As the 2016 election approached, the phrase “post-truth” was everywhere. After the election’s surprising outcome, I began reading about post-truthism and noticing themes that were familiar from judicial opinions I had studied, in which courts concluded that the First Amendment forbade Congress from forcing companies to make certain disclosures. I wrote “The Post-Truth First Amendment” to ask whether post-truthism has relevance for law. Post-truthism is treated as a political problem—it connotes lying and deception for political gain. Climate change denialism is post-truth because it contravenes the consensus views of climate scientists and advances the Big Oil agenda. “Fake news” is post-truth because it seeds public debate with false news stories to stoke fear and anger. In post-truth politics, politicians tell us things that “‘feel true’ but have no basis in fact” to score political points. The dangers of post-truthism are political dangers—growing partisanship, a resurgence of extremist ideologies, and the shadow of fascism. Post-truthism suggests that information should be regulated with particular attention to the information’s value and influence. In First Amendment law, this translates into careful parsing of listener interests. When a doctrine turns, in whole or in part, on the value of information for its end-user, that doctrine requires legal institutions, such as courts, to analyze and pass judgment on the value of the information. Determinations that information is “factual,” or “material,” or, in the domain of compelled speech, “controversial,” are value judgments about whether and how end-users should use the information to make decisions. The article argues that post-truthism already is influencing compelled speech law. Since 1985, when the U.S. Supreme Court decided Zauderer v. Office of Disciplinary Counsel of the Supreme Court of Ohio, lower federal courts have interpreted the case to justify laxer scrutiny for disclosures of “purely factual, uncontroversial” commercial information. To do this, courts have improvised legal tests that focus on a disclosure’s informational value to its recipients. Today, nearly every application of the Zauderer test involves judicial inquiry into whether the disclosure is “factual” and “uncontroversial,” and calibrating disclosure law to the controversiality of the underlying information is, I argue, paradigmatically post-truth. This is evident in such cases as NIFLA v. Becerra in the U.S. Supreme Court. We find post-truthism in compelled speech law because of the political stakes. When government restricts speech, the interests of speakers and listeners are roughly aligned; both speakers and listeners seek the production of speech. When government mandates disclosure, however, it is because listeners seek information that speakers do not want to produce. My article is not meant to suggest that post-truthism has somehow “taken over” the First Amendment. In fact, the caselaw applying the Zauderer doctrine reveals lower federal courts often resisting post-truth arguments and value judgments because they so plainly contradict free-speech and rational-actor principles. My aim is to persuade the reader that a more nuanced understanding of post-truthism and a little political context shed important light on what is happening in this dynamic area of First Amendment law. William Davies, The Age of Post-Truth Politics, N.Y. Times (Aug. 24, 2016). 471 U.S. 626, 651 (1985).